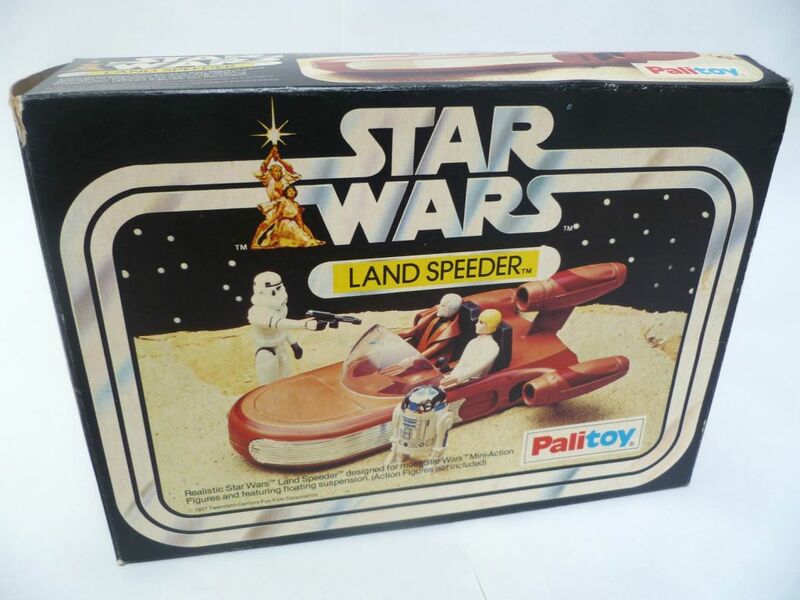 A vintage collection of Star Wars toys and memorabilia returns to the town where they were first marketed and introduced to British children! 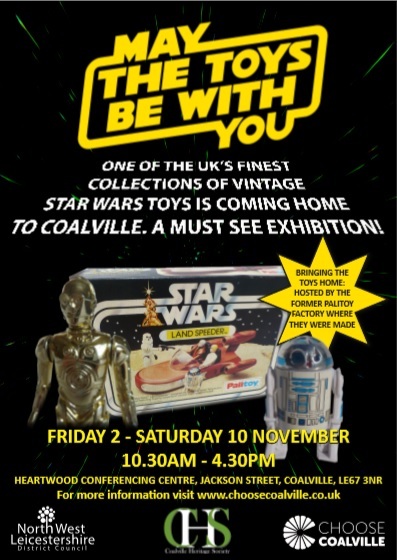 The May The Toys Be With You exhibition took place from 2 – 10 November 2018 at the exact site of the former Palitoy factory in Coalville – now the Heartwood Conference Centre – where many of the toys were made back in the late 1970s and early 1980s. North West Leicestershire District Council (NWLDC), with the support of Coalville Heritage Society and former Palitoy designer Bob Brechin, secured the exhibition for the town. The free entry exhibition featured more than 300 objects from the personal collection of Star Wars fanatic Matt Fox – everything from rare film posters and unpublished artwork, to his collection of action figures and vehicles – some of which were made at the Coalville factory. May the Toys Be With You was the extraordinary collection of Star Wars fanatic Matt Fox. The free entry exhibition featured more than 300 objects from Matt’s personal collection – everything from rare film posters and unpublished artwork, to his collection of action figures and vehicles – some of which were made at the Coalville factory where the exhibition took place. Star Wars has captured the imagination of millions over the decades from its iconic characters to its lightsabres, Millennium Falcon, X-Wing fighters and the Palitoy designed card Death Star. The original Star Wars trilogy – Star Wars, The Empire Strikes Back and The Return of the Jedi – made almost $2 billion at the Box Office combined, making it one of the most successful of all time. It is estimated that 300 million action figures of characters like Luke Skywalker, Yoda and Chewbacca were sold between 1977 and 1985 when Star Wars fever hit its peak. At the height of this, the BBC Newsnight team filmed in the Coalville factory and described it as ‘a goldmine on top of a coalmine’.